Cladding is used to improve the look of your home, whilst also having other benefits such as thermal efficiency. Various materials are bonded together to give off an impression that the wall has been newly constructed. Thermal efficiency. Thermal wall cladding has been growing in popularity recently as energy bills have escalated and homeowners look to cut their expenditure. This type of cladding combines exterior wall insulation and cladding, helping to reduce heat loss. 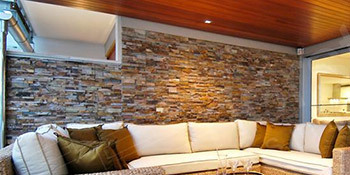 Wall cladding is a fantastic technique that should be made the most of to revitalise your property and bring in new life. It only needs to be applied once, lasting a lifetime with no further maintenance required. For up to four FREE wall cladding quotes, simply complete the form below and hear from vetted, reputable and local professionals.